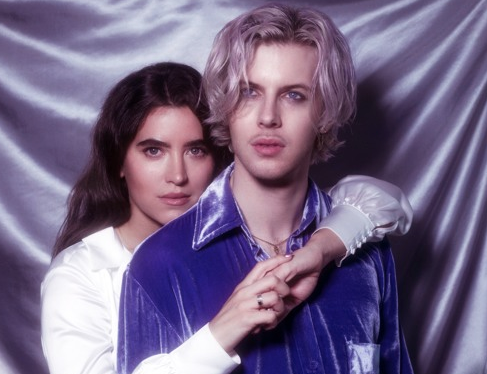 London-based duo Kira last month shared their single 'If It Makes You Feel Better', which is their debut single. Their release is an impressive introduction to the duo (starring Katie and Will) and this first taste has left us craving more from Kira. 'If It Makes You Feel Better' tenderly blends atmospheric synths and confident guitar riffs in the instrumental, the result sounding something like it's from the better part of the 80s. The track's vocals are calming and soothing, beautifully harmonising with the dreaminess of the sounds behind it. Katie's vocals add a degree of calmness to the track, giving it a dreamy essence. 'If It Makes You Feel Better' discusses a relationship that lacks genuine communication and connection, focussing more on the egos driving the said relationship. Press play and feel like you're floating on a cloud with Kira's If It Makes You Feel Better'.